I'm here to share 5 things from this week. I hope these ideas will be helpful to you! 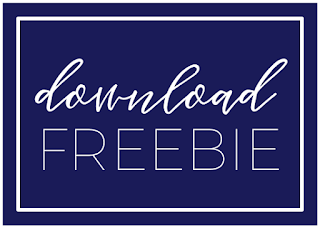 Please scroll to the bottom of the post to grab the freebie! 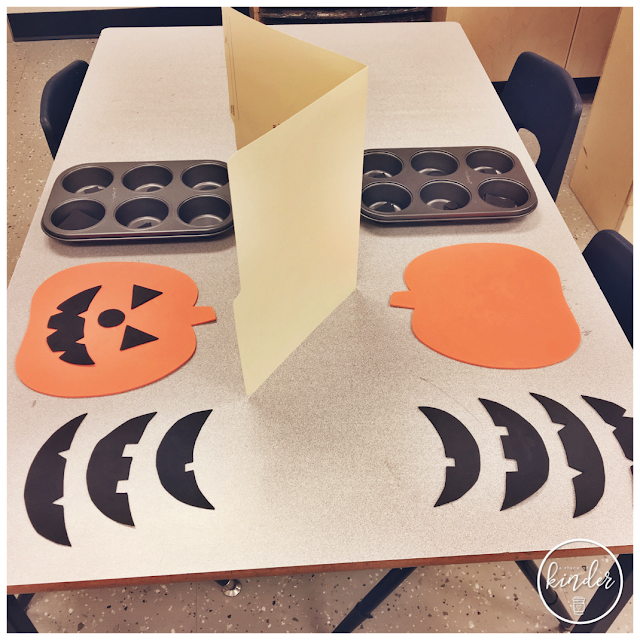 I have heard about barrier games and was wanting to incorporate it into my centres.. and remembered that I had these pumpkin cut-outs from last year! I grabbed some black foam and cut out a variety of mouthes, small/big circles, small/big triangles and small/big squares. One student builds a jack-o'-lantern first and then has to explain what they did using only words. When they think they are done they lift the file folder and see if they got it right! 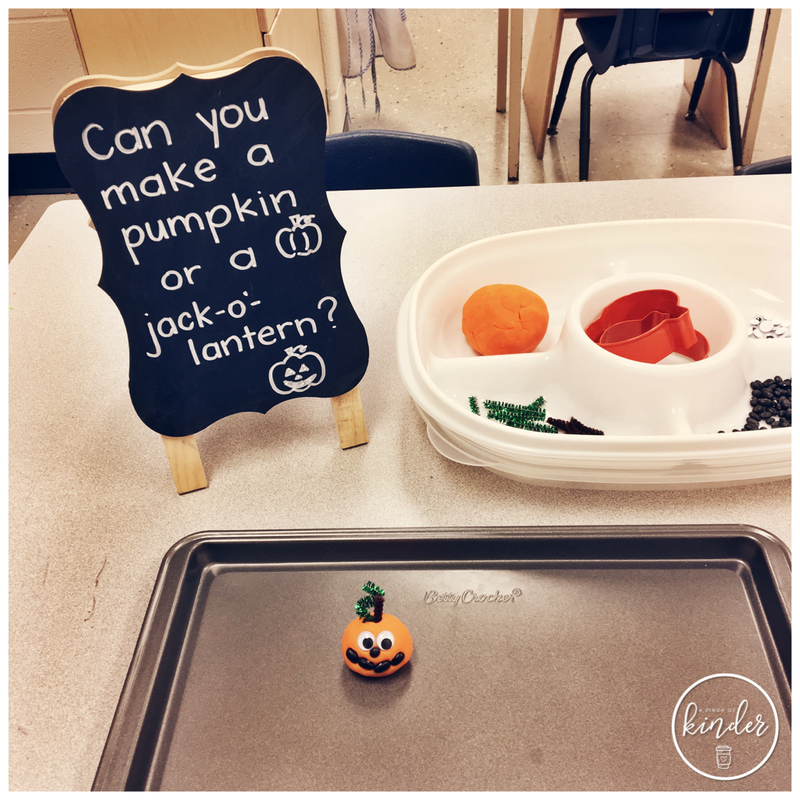 We talked about how we need to use lots of details when we explain each part so that your partner can make the same jack-o'-lantern. This activity was great for oral language, using spatial awareness language and to also review shape names and size words! 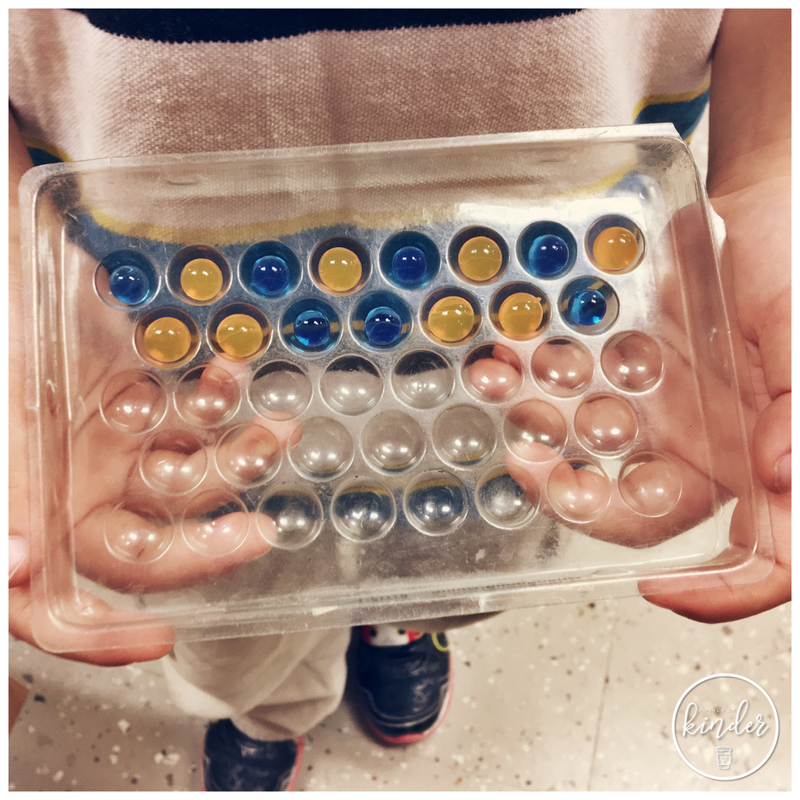 This is a simple but fun activity! I put a variety of Halloween items in black and white beans and had the students hunt for them. When they found the item they checked it off and I encouraged them to colour it to match the item they found. My kids love play dough so I'm always looking for new ways to use it! First we made pumpkins and jack-o-lanterns. I set out orange play dough with pumpkin shaped cookie cutters, googly eyes, black and green pipe cleaners and black beans. We also set out white play dough and encouraged them to make ghosts and skulls! 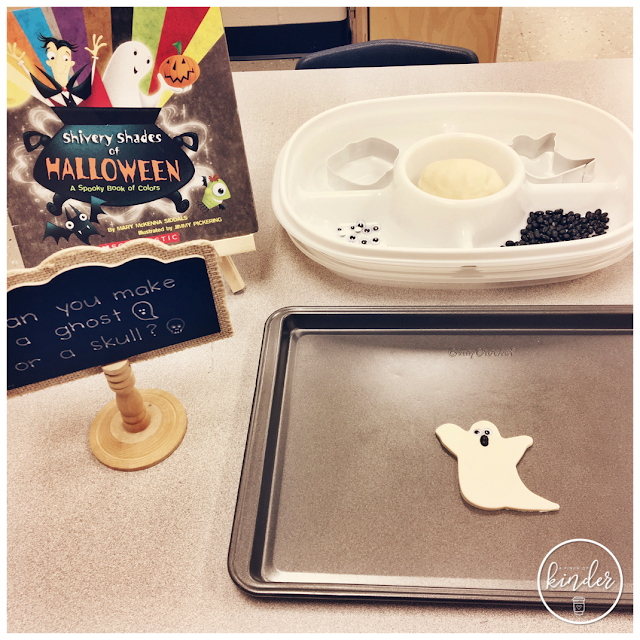 We set out the white play dough with ghost/skull cookie cutters, googly eyes and black beans. My kids really loved this challenge! First I read them "Pete the Cat: Five Little Pumpkins" (any Five Little Pumpkins book will work!) then I told them the challenge "Can you make a fence for the five little pumpkins?" 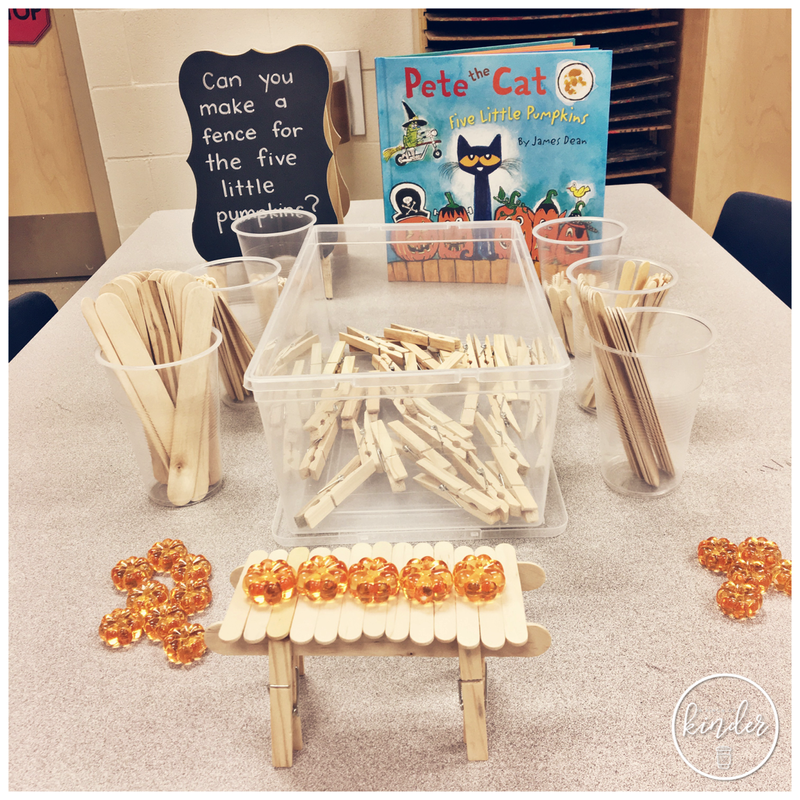 I set out popsicle sticks and clothes pins and showed them this example but told them that there are many other ways to make a fence and encouraged them to try and find new ways. Some of the kids came up with some really creative fences! I loved seeing them think hard and share their work with others. I'm trying to incorporate more STEM type activities. 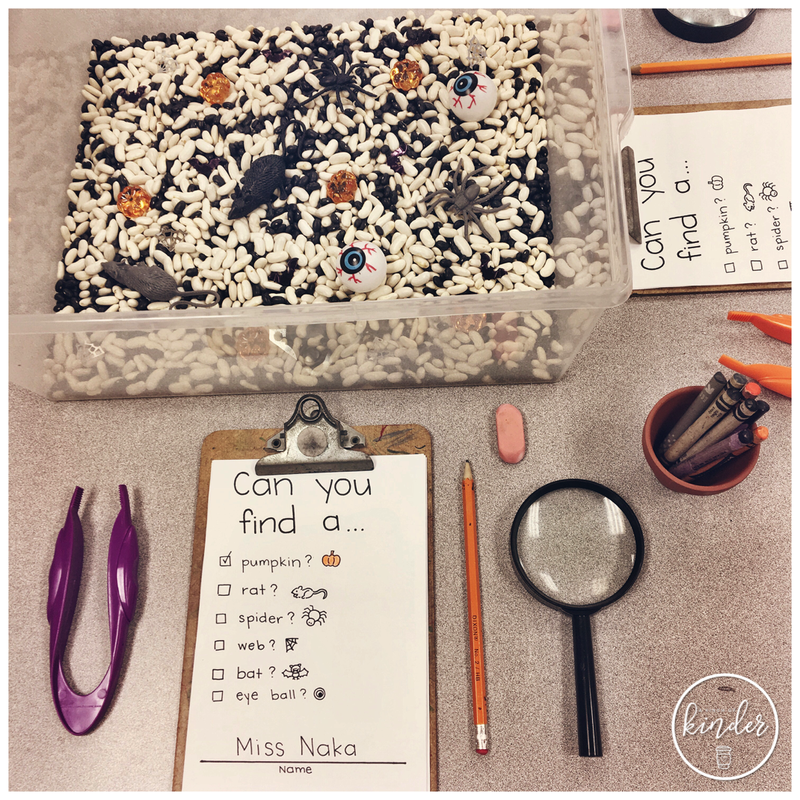 If you know any great Kindergarten friendly STEM activities please let me know in the comments! 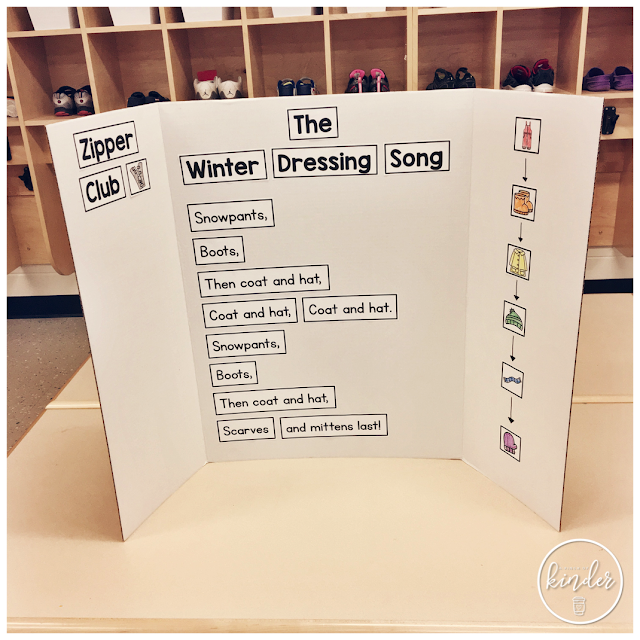 We had our first snow pants this week so we taught (review for our SK's) The Winter Dressing Song and created this presentation board together! I had the kids colour the clothing pieces and we worked in a small group to glue the pieces down. The song is sung to the tune of "London Bridge". Next week we will be adding kids pictures to the "Zipper Club" so that friends who are still learning will know who to ask for help if they need help with their zippers! 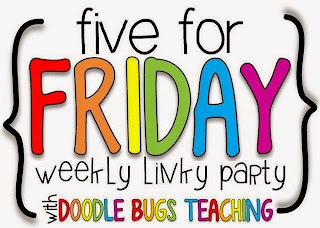 I'm linking up with Kacey from Doodle Bugs Teachings for her Five for Friday linky. Click on the image below to read more Five for Friday posts! Today I wanted to share with you my favourite lessons and resources for teaching sorting in Kindergarten! 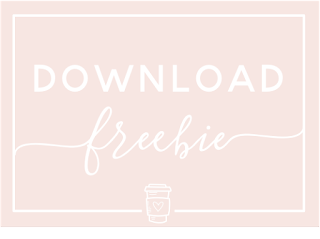 You can click on the image above to download the plans in PDF for easy printing! Then we practice sorting by colour! I prepare a bag of items and have the students sort them into hoola hoops. After the lesson I transferred them onto canvas to display as part of our sorting resource wall. I happened to have these canvases lying around but I know canvas is expensive so if you don't have canvases I would just use cardboard cut to size! 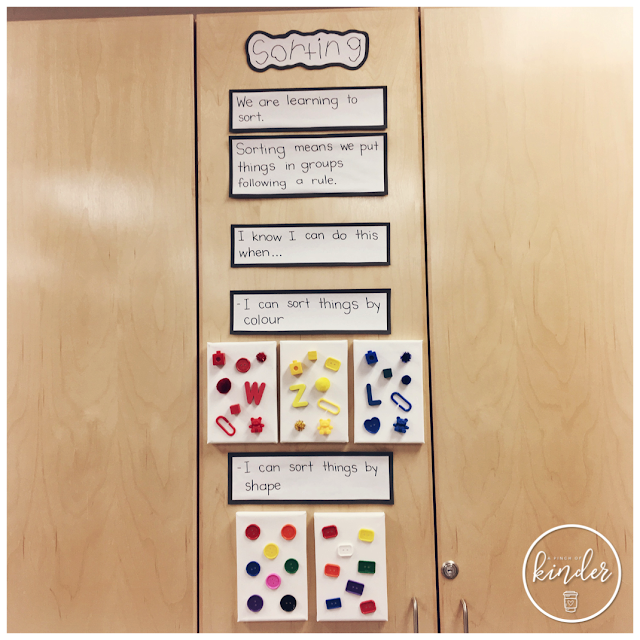 On Day 2, we reviewed the learning goal and then practice sorting by shape. 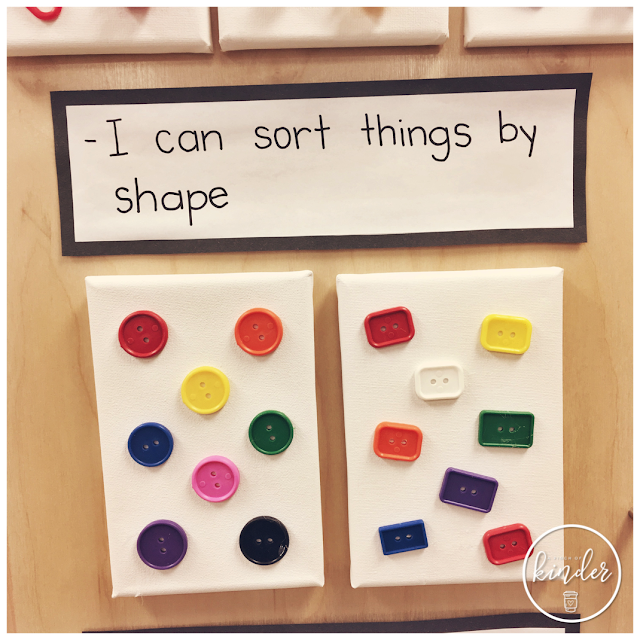 We sorted the shape buttons as a group and then transferred them onto the canvases again to put on our sorting wall. On Day 3, we reviewed the learning goal and then practiced sorting by size. We sorted these pom poms by size and then transferred them onto the canvases again to put on our sorting wall. 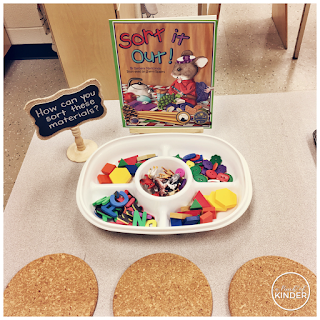 On Day 4, we introduced how we can sort in a variety of ways (not just colour, shape and size). 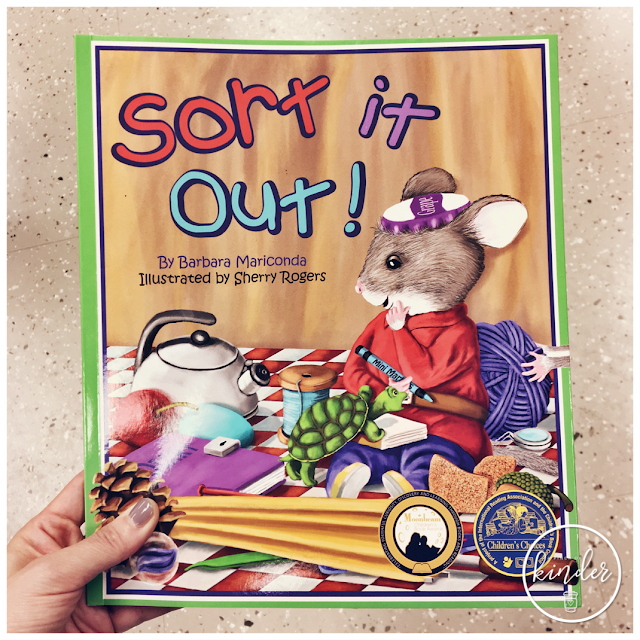 We read the book "Sort It Out" by Barbara Mariconda and talked about all the ways Packy (the mouse in the story) sorted his stuff. On Day 5, we reviewed the learning goal and talked about why we learn to sort and when we use this skill in our life. 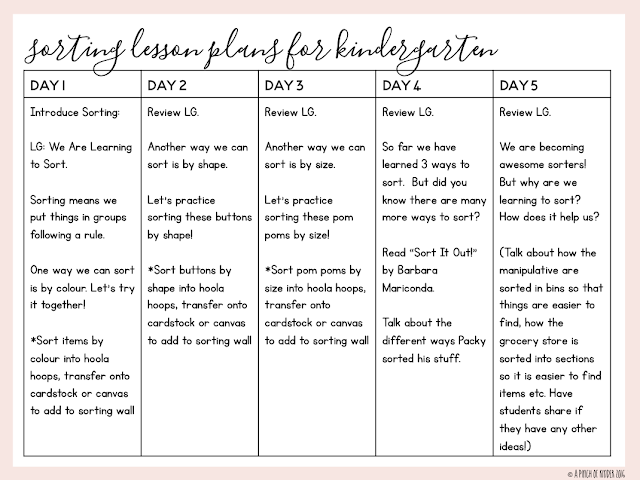 We talked about how we sort items in our classroom to help us find things easier and how things are sorted in the grocery store to help us find what we want easier too. 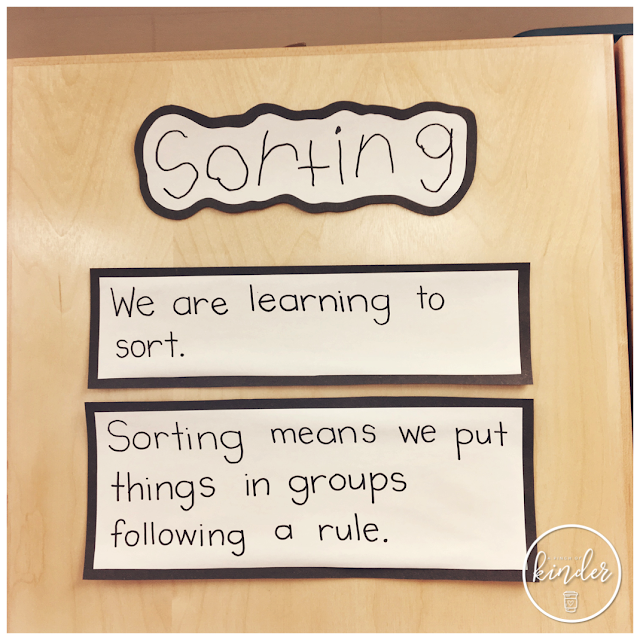 When students sort items and can tell me their sorting rule, I take a picture and put it as an example under "I can sort things and say my sorting rule." 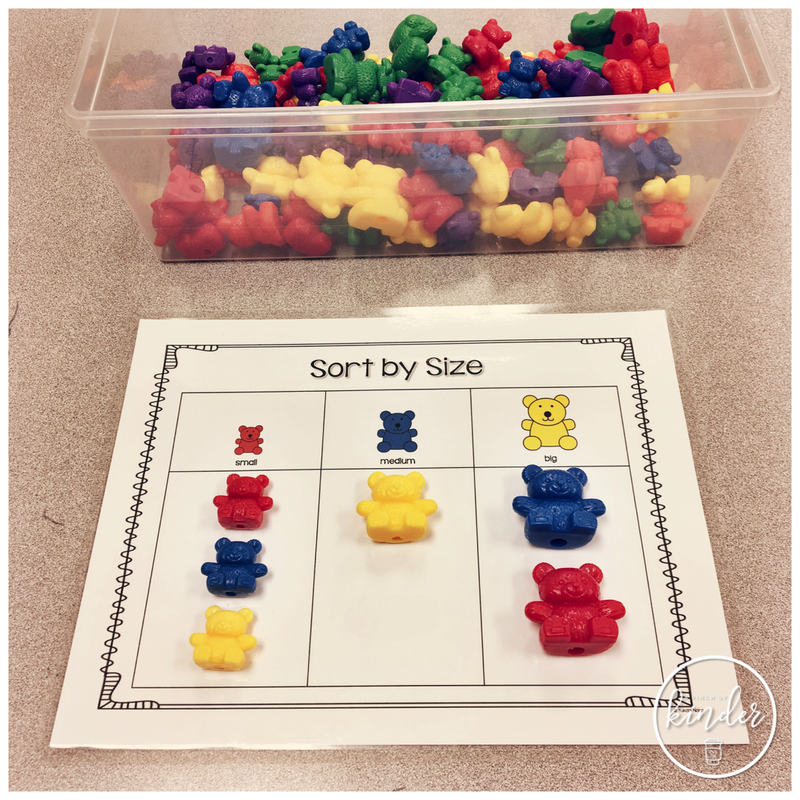 Student make a sorting rule and sort them into the fruit cup containers. 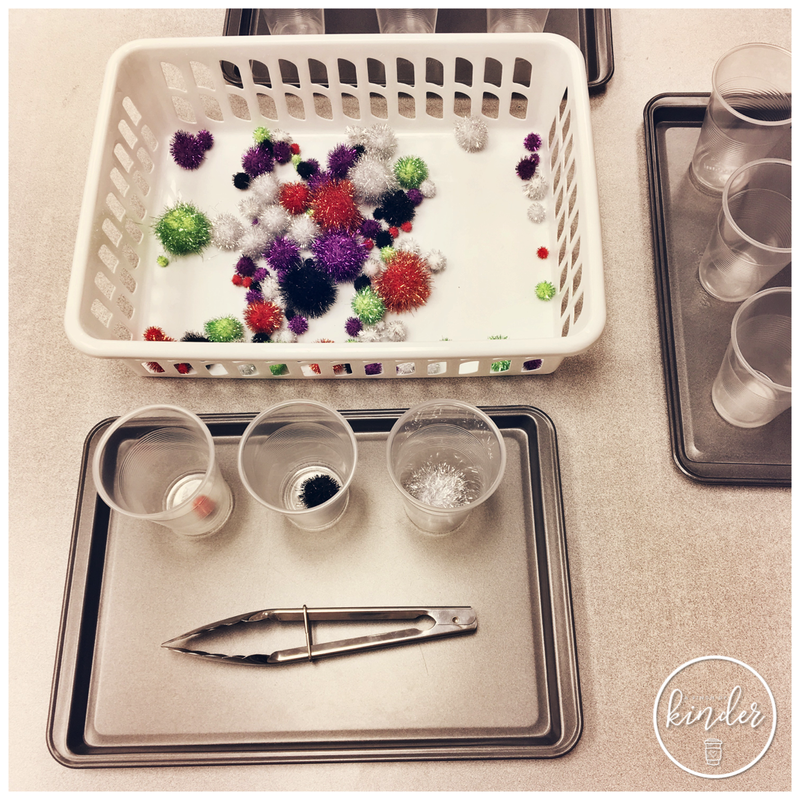 I add tweezers for extra fine motor practice! I have the students sort the beads by colour. I add the tongs for extra fine motor practice! 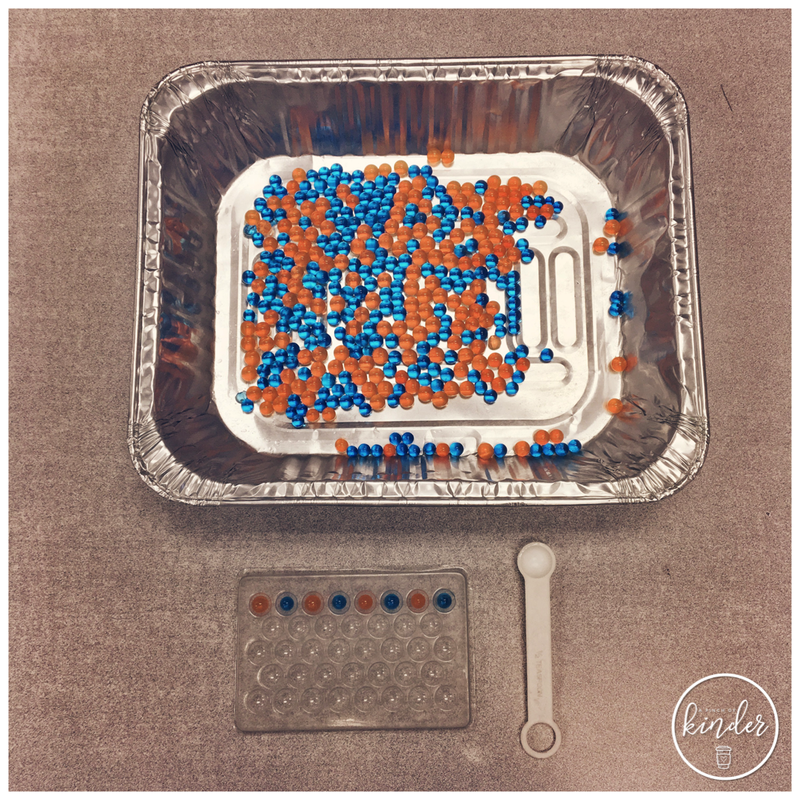 And if they use their finger, the small beads encourages them to use a pincer grip. 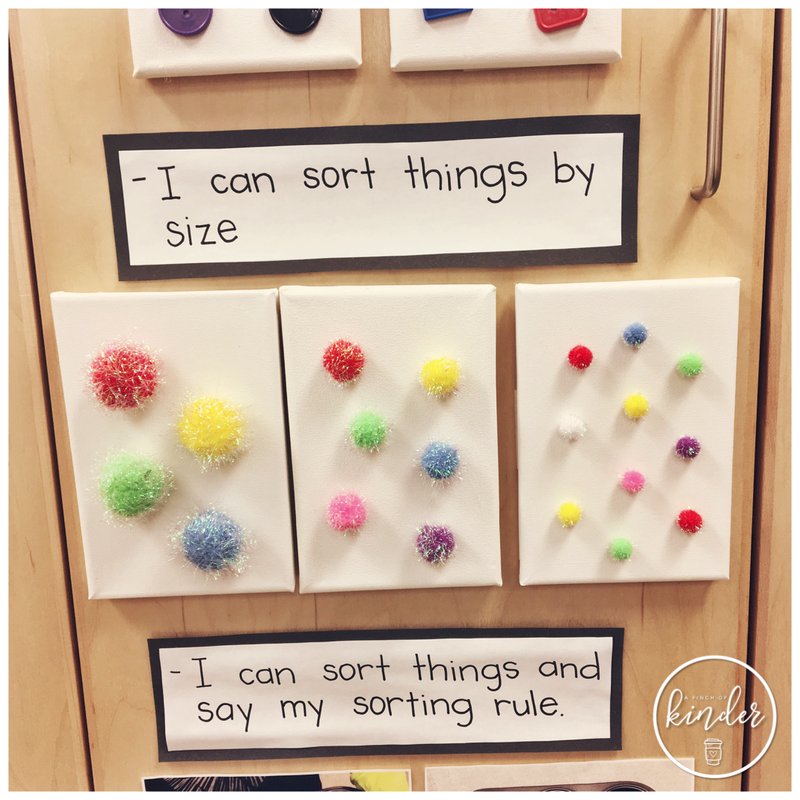 Sorting is awesome because you can literally sort anything! I love this bag of pom poms because there are different sizes. This way the kids can sort by size or colour! Then I did the same thing with number magnets! 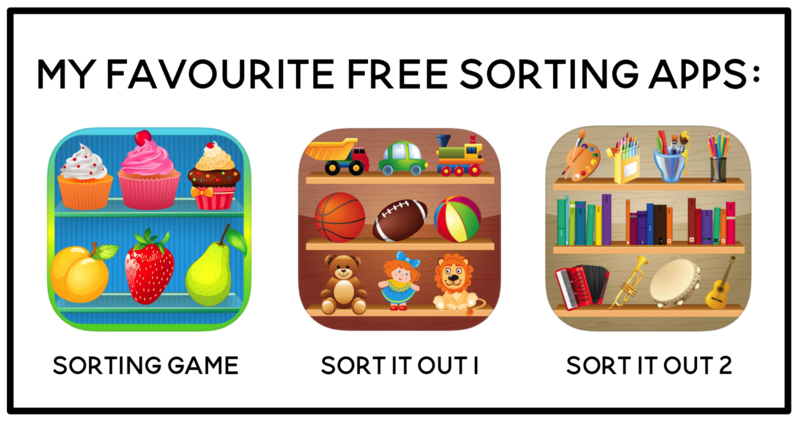 When we first start sorting I put these sorting mats out to give those kids that need it more support. 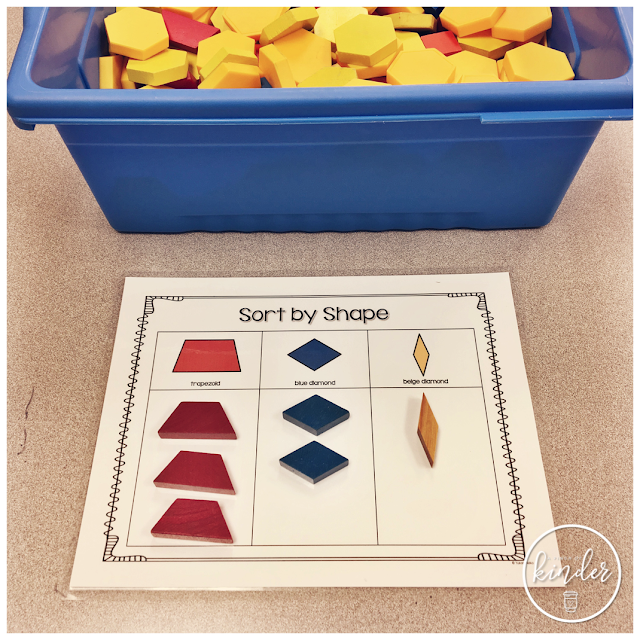 I have these mats as well that asks the students to sort the pattern blocks by shape too! You can find both mats (and many more) by clicking here. After the students are familiar with sorting I start to set out multiple materials at a sorting centre and have the kids come up with different ways that they can sort the items! 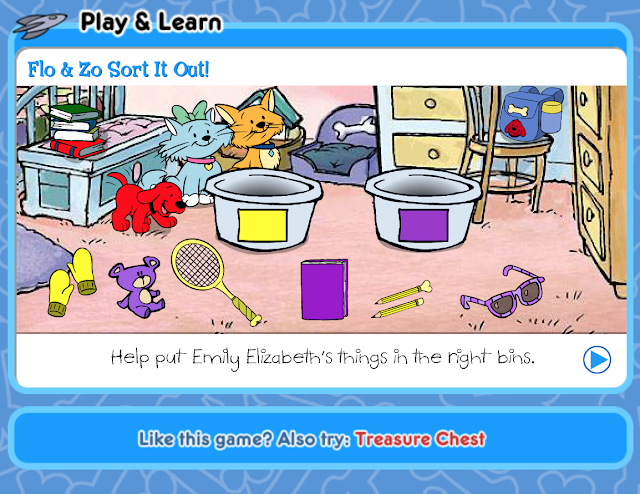 And here are some of my favourite interactive sorting games that you can put on your SMARTBoard! 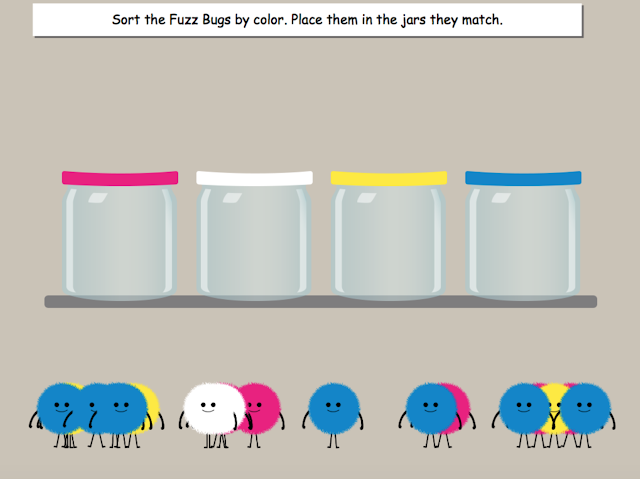 My kids always love Fuzz Bugs! 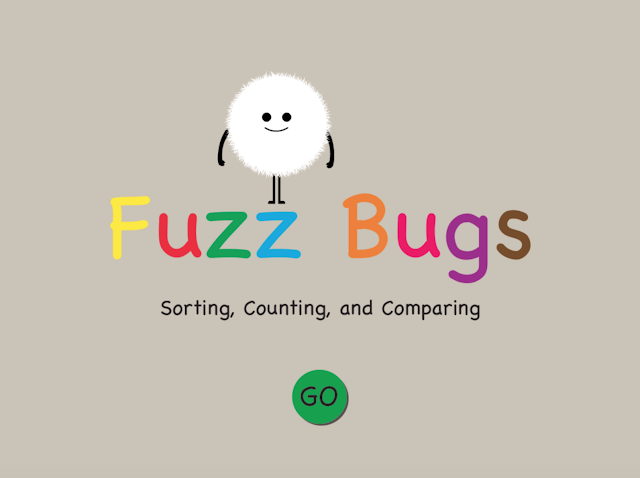 This game works on sorting by colour and other math skills like 1:1 correspondance and working on math vocabulary like most and least. 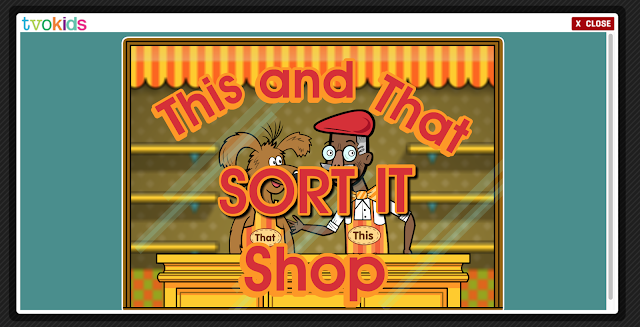 This and That Sort It Shop is another great one because it practices sorting by a variety of rules such as short vs. tall or 4 legs vs. 2 legs (as pictured above). Flo & Zo Sort It Out! has sorting by colour, shape, pattern etc! 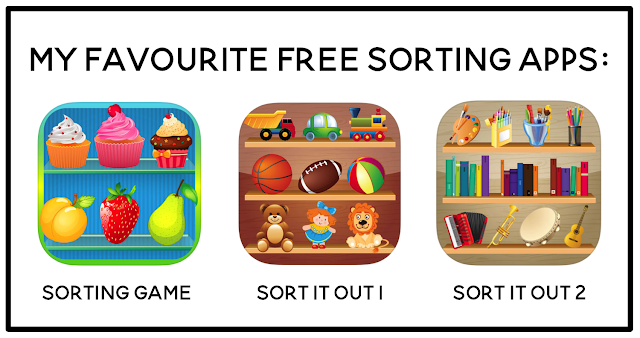 Here are also some apps that you can put on your iPad to give students with more practice with sorting at centre time! You can find them all in the App Store! I hope you are able to use some of these ideas/resources in your classroom! 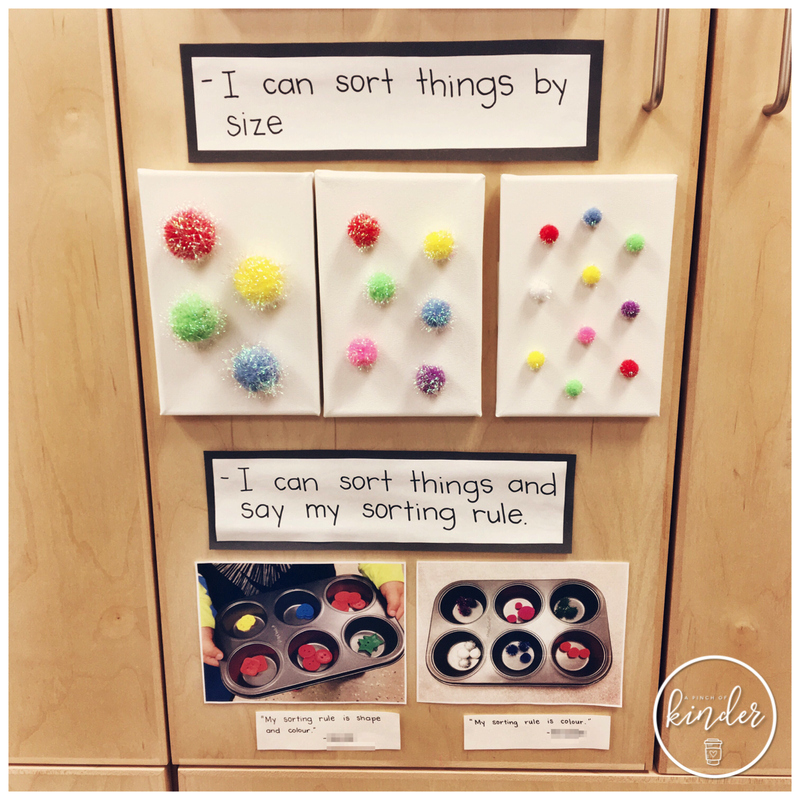 What is your favourite activity or resource for teaching sorting? 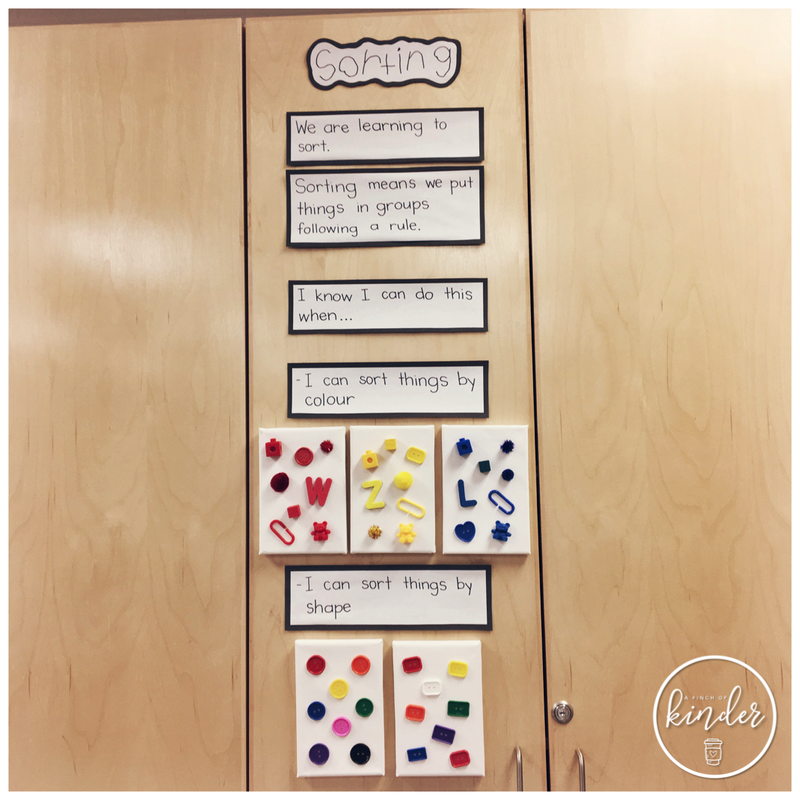 I'm linking up with Kacey at Doodle Bugs Teaching to share five things from our classroom this week! 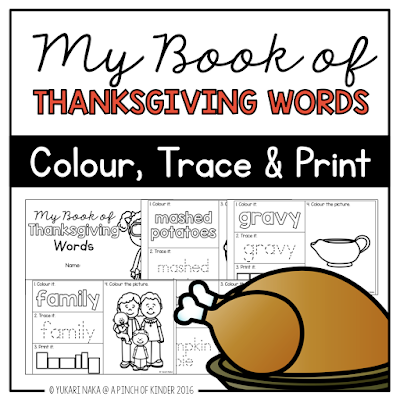 This week I introduced them to these thematic word booklets! Although I always have free choice (blank paper and half blank/half lined paper) available at the writing centre I like to add other thematic choices there as well from time to time. 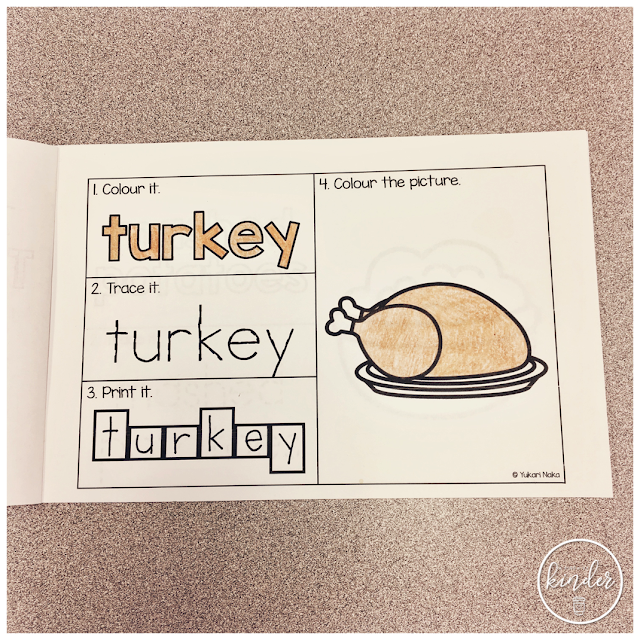 On each page the kids colour, trace and print the word and then colour the picture. My next door teaching partner lent this activity to me and it was a hit this week! The kids made patterns out of water beads. 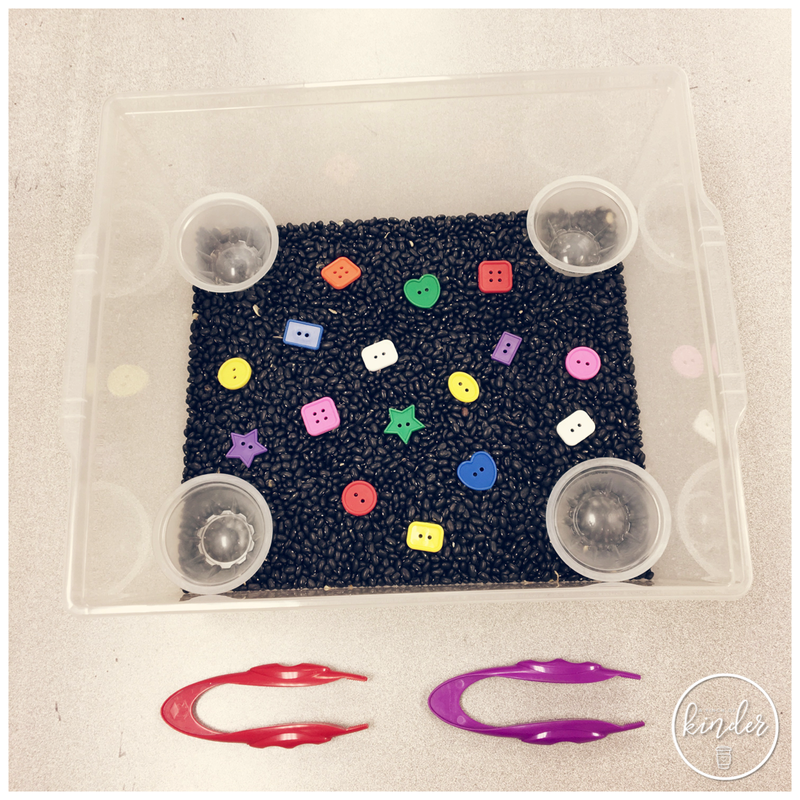 We put the waterbeds in a shallow pan and had the kids scoop them out with the spoons and into the container on the left to make patterns. 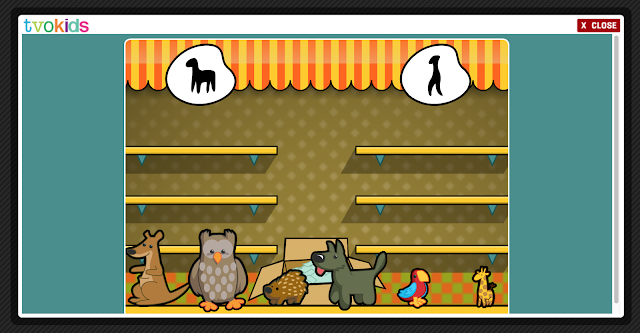 Here is an example made by one of the kids! In our writing mini lessons the kids have been learning about drawing a person (Mat Man) and labeling. 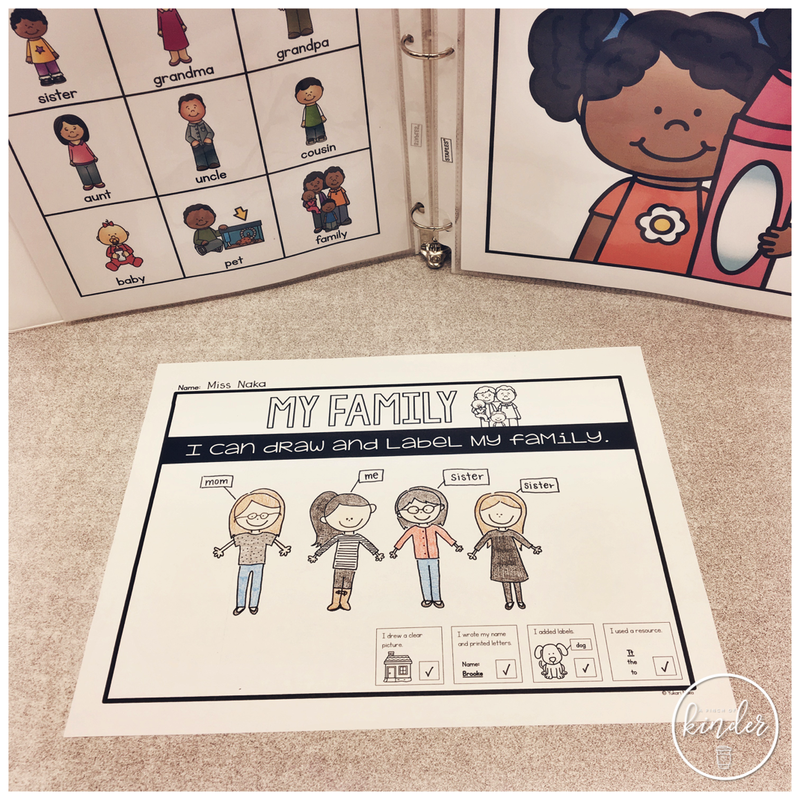 After the lesson we set out this family labeling paper (with my example, shown below) and encouraged them to draw and label their family to practice these skills! You can find this sheet and the accompanying lessons in my first writing unit here. 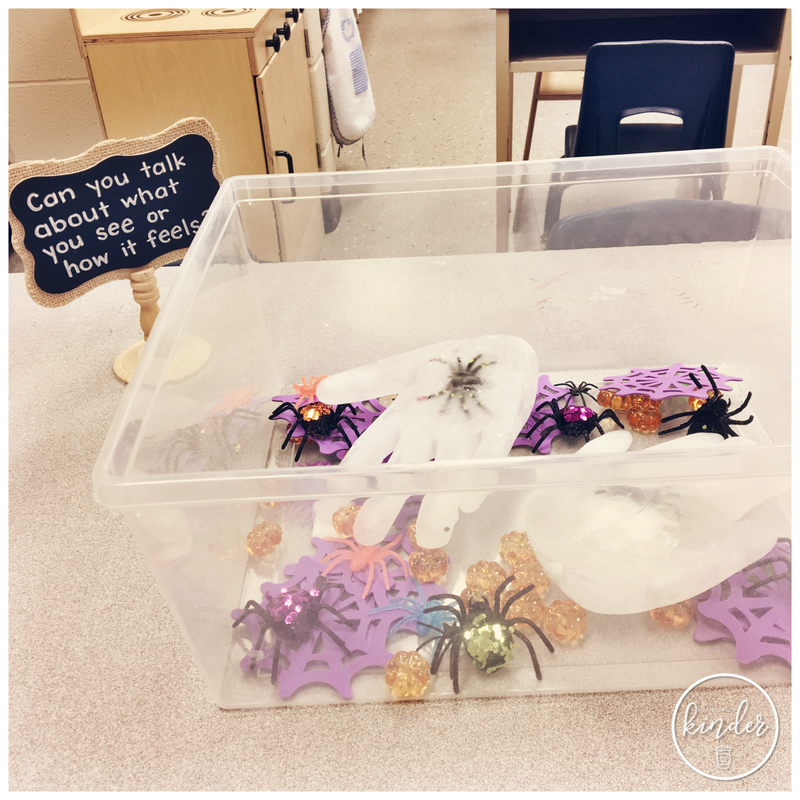 Some of the students were wondering about Tarantulas so we have been learning all about them! 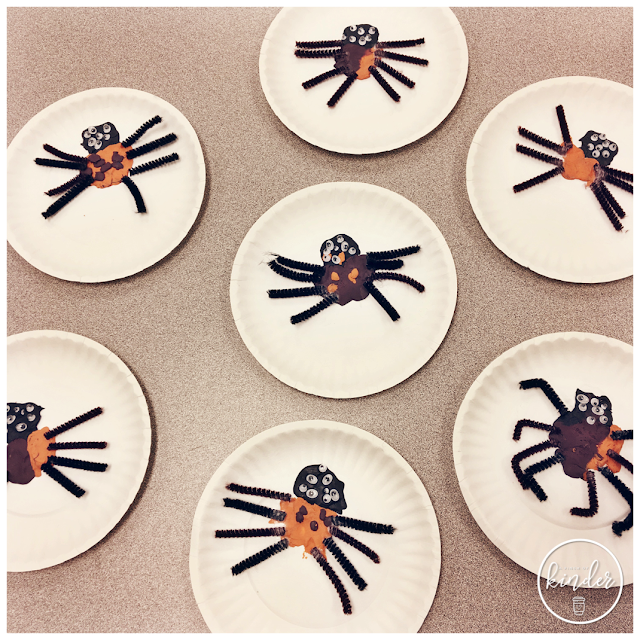 As one way to show their learning, we had the kids look closely at photographs/books and created these plasticine tarantulas! This was our first time working with plasticine so we sat with them and guided them through the activity. 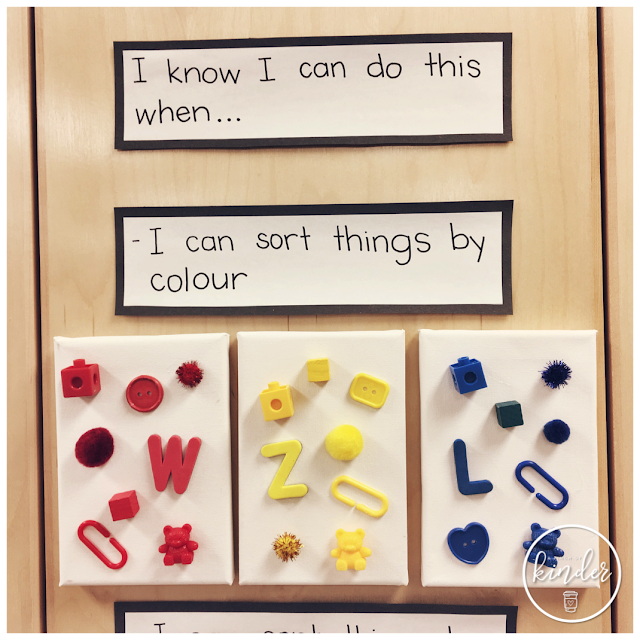 We talked about stretching plasticine is a great way to strengthen our finger muscles (we have been talking a lot about how we need to strengthen our finger muscles to become better printers so that we can write down our ideas). They came out great and there was so much math (patterning, number sense) that they were practicing as they created these. We also noticed that many of the kids were able to recall Tarantula facts like how they had 8 legs and 8 eyes and that the body was 2 parts. 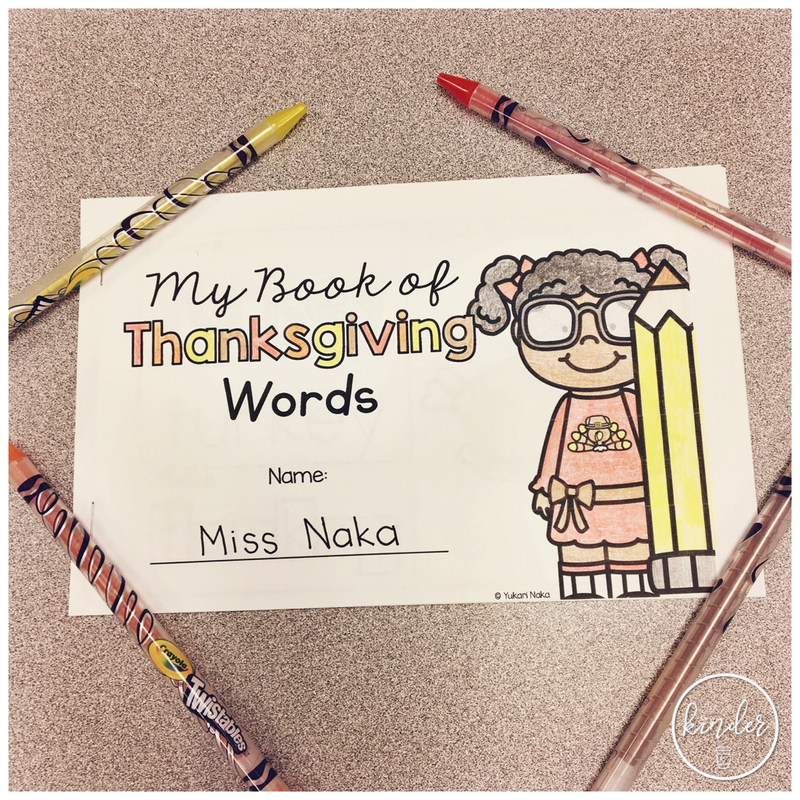 I'm linking up with Kacey at Doodle Bugs Teaching to share with you 5 things from my classroom this week! I love making co-created posters with the kids at the beginning of the year. 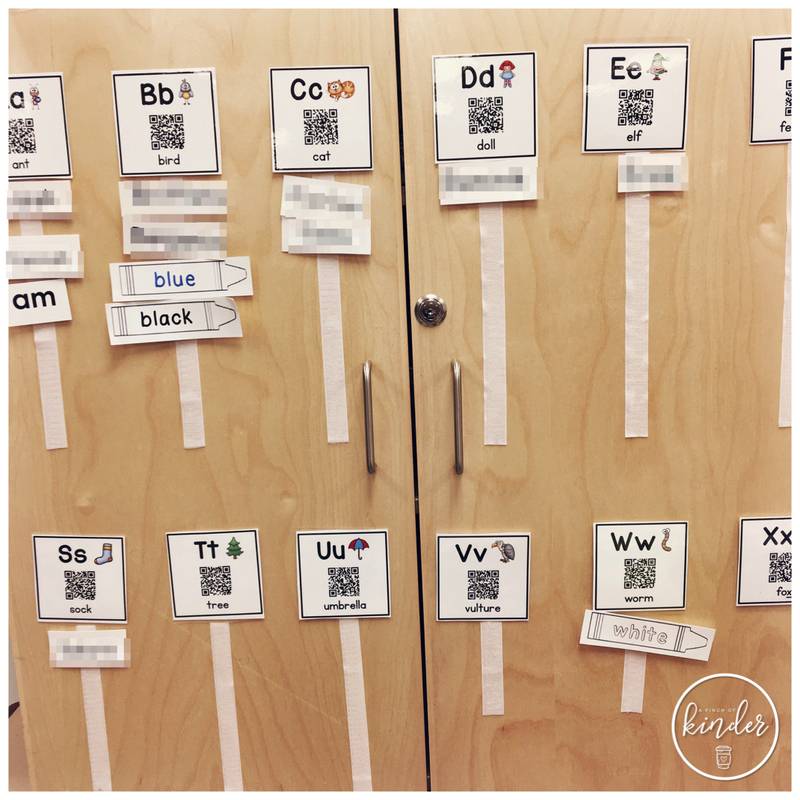 I find that the kids use the resources a lot more too when they are co-created and referred to often! Last year we made these. This year I was inspired by Anamaria from Wonders in Kindergarten. 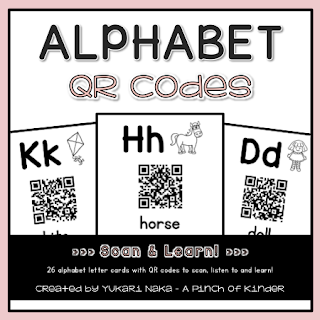 You can see her blogpost about her co-created alphabet here. 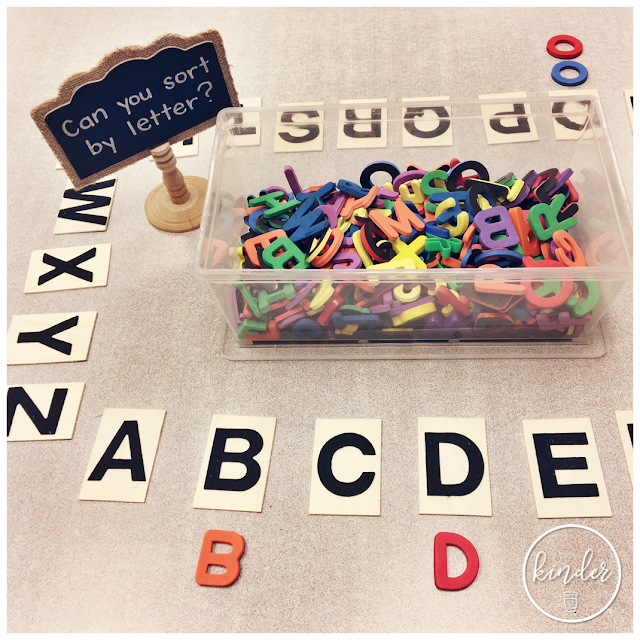 We followed her lead and brainstormed items that started with each letter first. Then we collected the items from around the room or I gathered them after school. 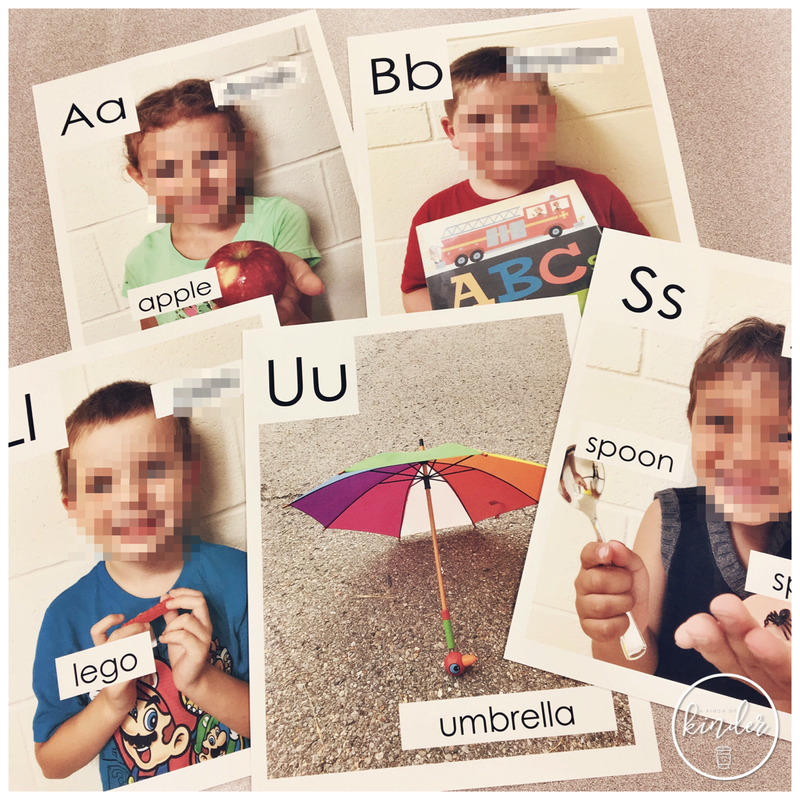 We took a few photos a day until we had all 26 pictures and then I used PowerPoint to add the textbooks for the letter and labels. The number posters are the same as last year! They used these a lot last year so I thought, why fix something if it's not broken? 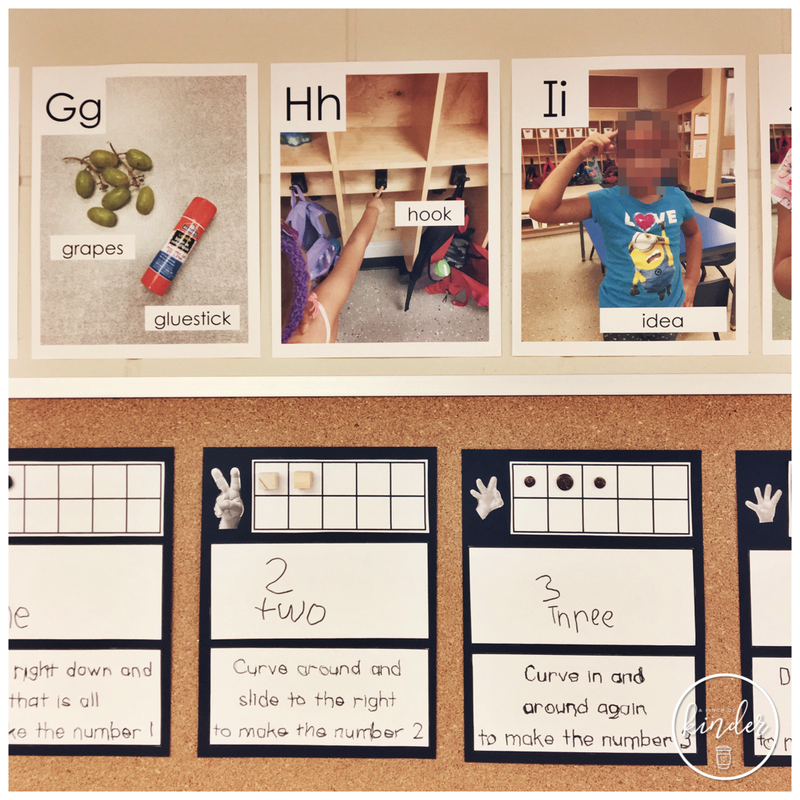 The number formation song that we use at the bottom of the poster is "The Numeral Song" by Dr. Jean! 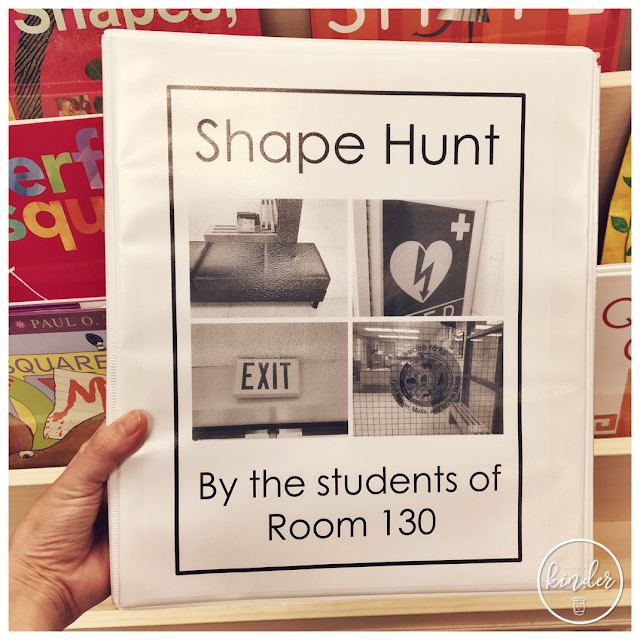 We went on a shape hunt and made our first class book! 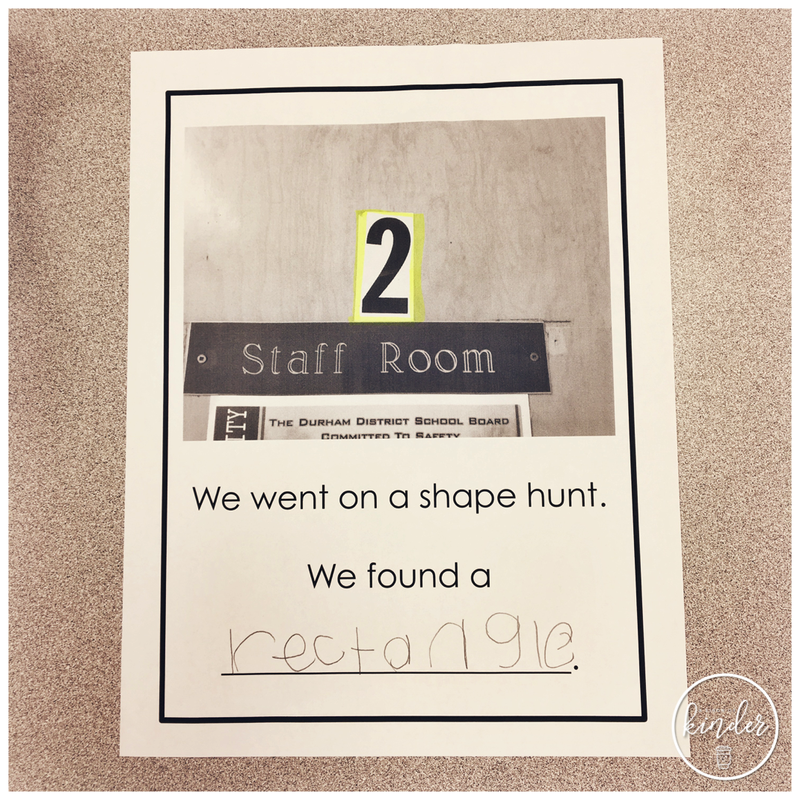 The students were asked to point out and identify shapes they saw as they walked down the hallway. 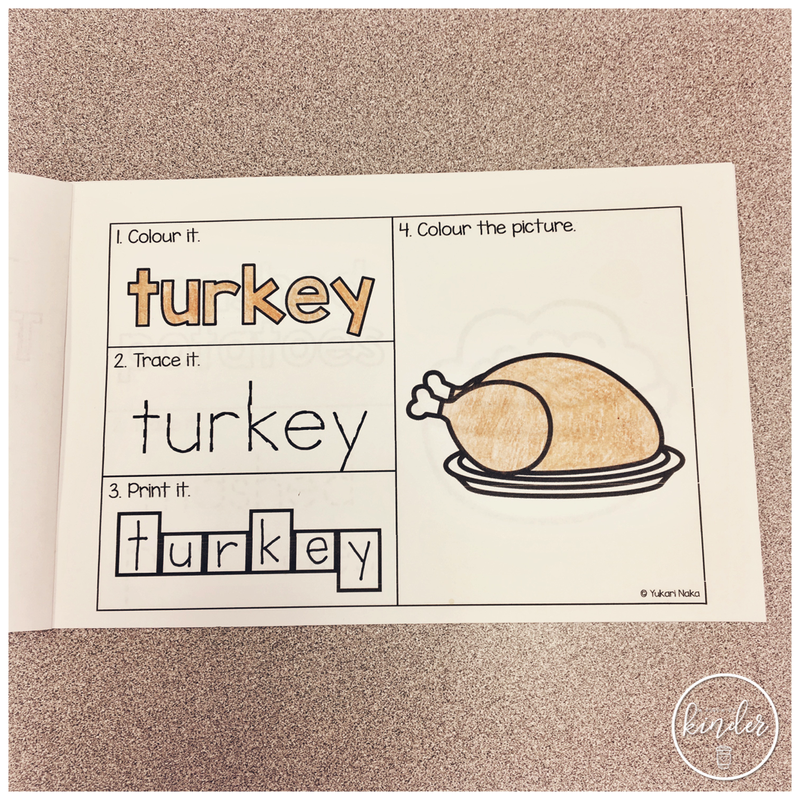 My ECE partner took them for the hunt in small groups (4-5 at a time). They used our classroom iPad to take the pictures. 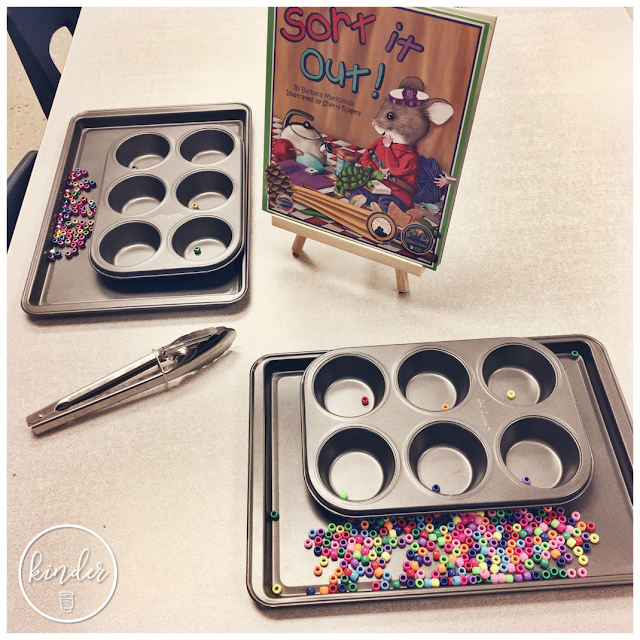 This simple invitation to sort with black beans, buttons, empty fruit cups and tweezers were a hit for a few days this week! 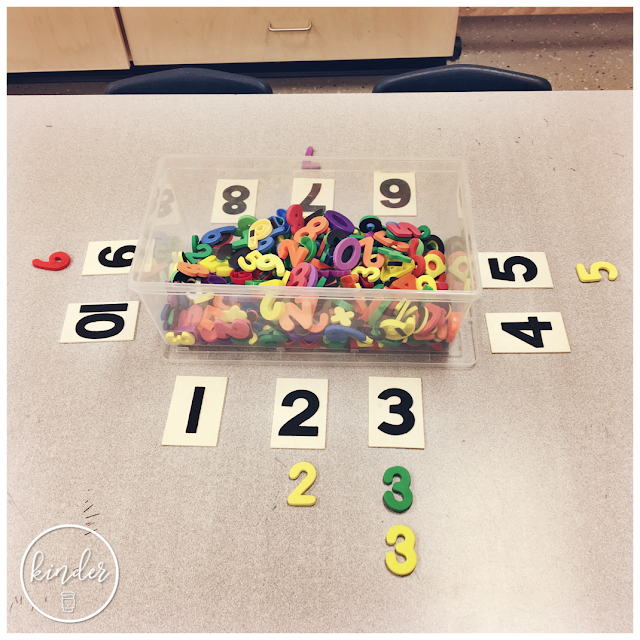 Although sorting buttons was popular, hands down the MOST popular centre this week was number locks! I finally collected enough locks to make this centre. 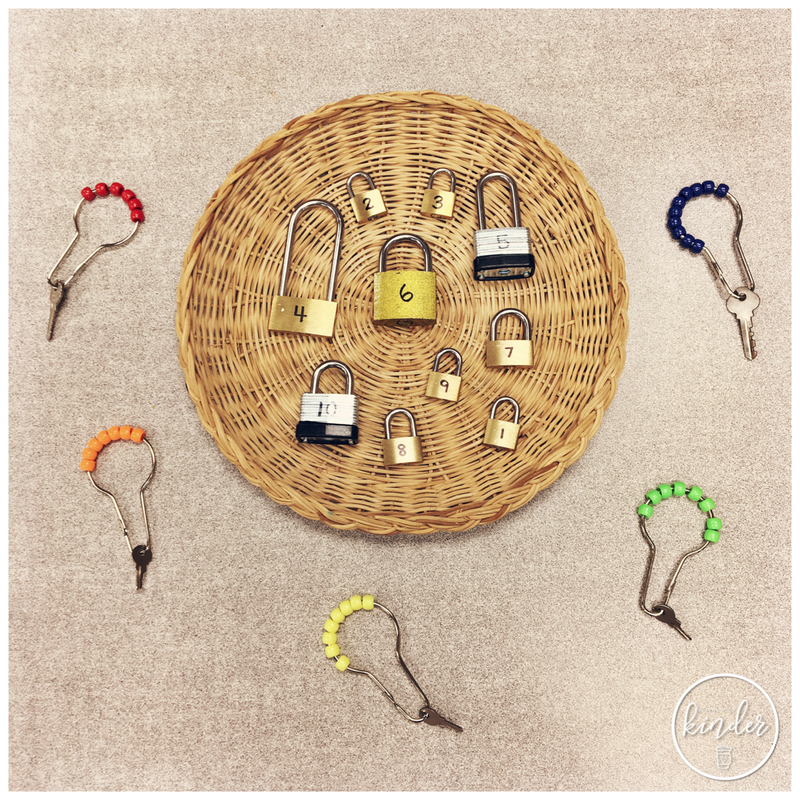 Locks are expensive so I've been buying one or two at a time at the dollar store. I wrote the numerals on the locks with sharpie and attached shower rings to the keys and added beads to them. The kids were asked to count the beads, find the matching lock and open the locks. Lots of great fine motor practice at this centre too! I have this one teammate who is so supportive of the resources I create. She is always showing me how she is using the resources I create with her students (which makes me SO happy!). Last week I went to ask her a question and saw her word wall and thought.. THAT IS SO SMART!! She used the cards from my "Alphabet QR Codes for Kindergarten" as her word wall headers! That's it from me this week! If you're in Canada like me, I hope you have a great Thanksgiving long weekend!